Dr. Jean Provo and the entire NOVO Dental Team would like to thank you for your loyalty and support. 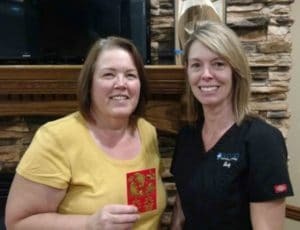 Darlene is August 2017’s winner of the month! Darlene received a $50 gift card to “Vi La Palace”. Congratulations Darlene! Jim is July 2017’s winner of the month! 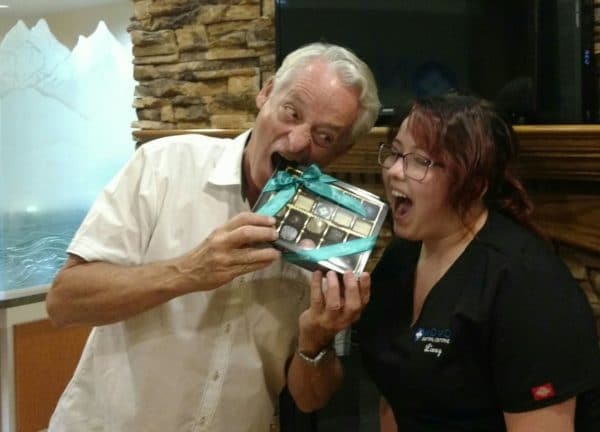 Jim received a $50 box of “Chocola Tas” chocolates. Congratulations Jim!